England coach Eddie Jones believes the scars of the 2015 World Cup exit is continuing to hurt the side after a mixed 2019 Six Nations tournament. The red rose team started the Six Nations tournament with a 20-32 win against Ireland and a 44-8 triumph over France but a 21-13 defeat to Wales derailed their hopes of a Grand Slam, which can be seen on the Best Betting Sites Online. Just as England looked on track to finish the tournament on a high and was in a dominating position against Scotland at Twickenham in the final round with a 31-0 lead they allowed things to slip with the Dark Blues making one of the finest comeback scoring 38 unanswered points before a converted try from George Ford in the added minutes helped Jones' men salvage a draw. When asked about England's mixed performance in the Six Nations tournament, Jones said the inability to handle the pressure at big moments is hurting the team. "It's about how the team thinks under pressure. It's like we have some hand grenades in the back of a Jeep and sometimes they go off when there's a lot of pressure. We have a few of them and we've got to get rid of them. "The team has probably had it since the 2015 World Cup and we've been working on a process to fix it. We will get it right, but it takes time. "It comes in when you get under pressure, a lot of pressure, and you can't work out a way to get back to what you want to do." 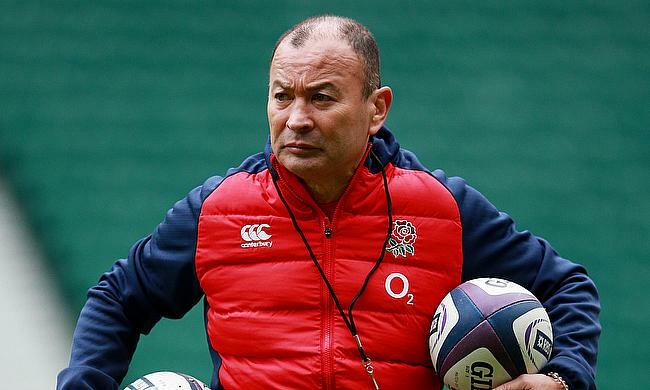 When Jones took over after the 2015 World Cup debacle, England went on to win 18 games continuously but since then has struggled to make a real impact despite showing brilliance in parts and the 59-year-old added that he is seeking help from outside to address the mental issue ahead of the showpiece event in Japan. "I've got one person that's going to help us that's a bit of an expert. I'm not sharing that name with you now. I haven't used her before. "When we won 18 games in a row, we still had those problems. They have come to the fore in a couple of games recently which is beneficial for us because it's made it quite clear what we have to fix to be the best team in the world." England will face Wales at home and away following which they will lock horns with Ireland and Italy before they head to Japan for the 2019 World Cup.